If you would like to read about why dairy is bad for you and why I don’t have it myself and why I don’t give it to my baby, read this article about why dairy is bad for you. I do not recommend replacing dairy with soy, even if you’re buying organic non-GMO soy products. Soy beans naturally contain isoflavones, which function as phytoestrogens. These mimic your body’s own oestrogen, therefore it’s as though you have increased oestrogen production. It’s never a good idea to mess around with your hormones. Furthermore, soy beans may have health benefits in their natural, whole state, but most of the dairy-replacement products made from soy are very processed. My rule of thumb is that processed is bad, and this is the major theory behind the “raw food” and “clean eating” movements. I don’t think that eating organic tofu once in a while will have a bad effect, but for most people whatever they use to replace dairy is something they will be eating every day. So you need to choose something which will contribute to your health, not hinder it! For me, the best alternative to cow’s milk is almond milk. It’s just so damn yummy! The health benefits of almond milk include improved vision, weight loss, stronger bones and muscles, and a healthy heart. It helps to maintain ideal blood pressure and is good for your kidneys. Almond milk (or any other nut milk) is such a great substitute for cow’s milk that you won’t even miss it. In fact, once you’re used to having nut milk the taste of cow’s milk is quite unpleasant. Firstly, soak the almonds in water overnight or minimum 4 hours. Don’t skip this step! Almonds contain an enzyme which inhibits digestion so it’s important to soak them first. Drain the water off and rinse them. 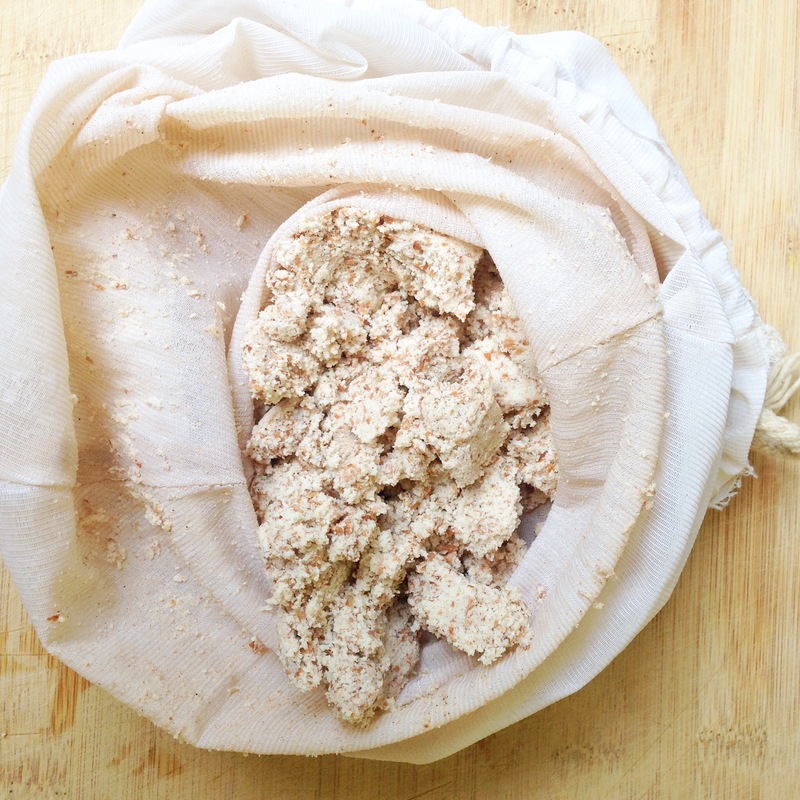 Time-saving tip: if you own a dehydrator, soak a kilogram of almonds in one go and then dehydrate them. That way your almonds are pre-soaked and you can make milk without any forethought! Now put all the ingredients in a blender, and blend well. In a high-speed blender 30 seconds is enough, but it may take longer in a regular blender. 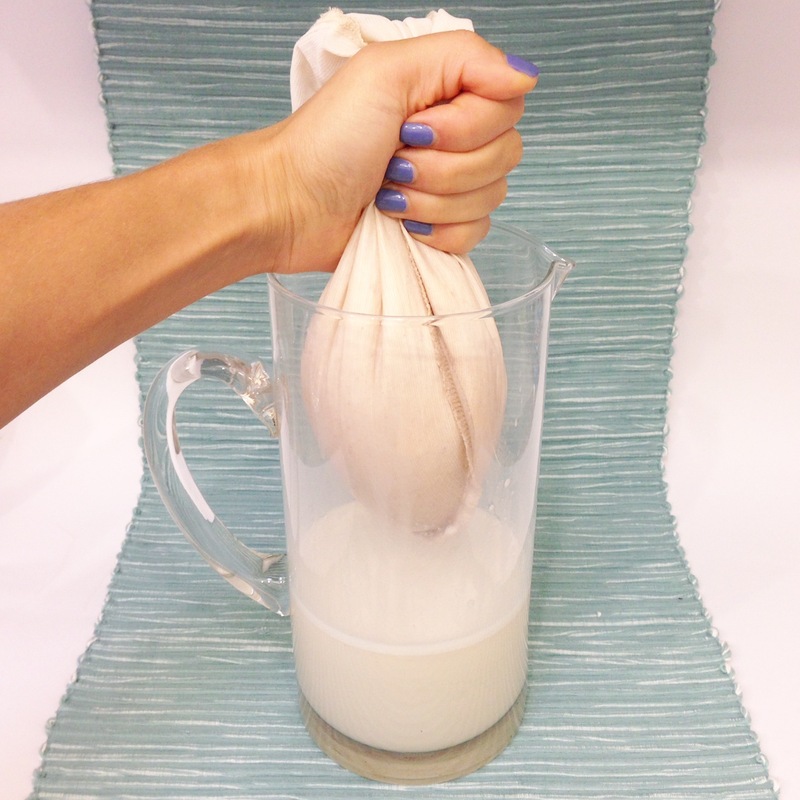 Strain the liquid through a nut milk bag (available at health shops or online) or use a clean piece of cheesecloth or muslin. Keep refrigerated and use within 3 – 4 days. 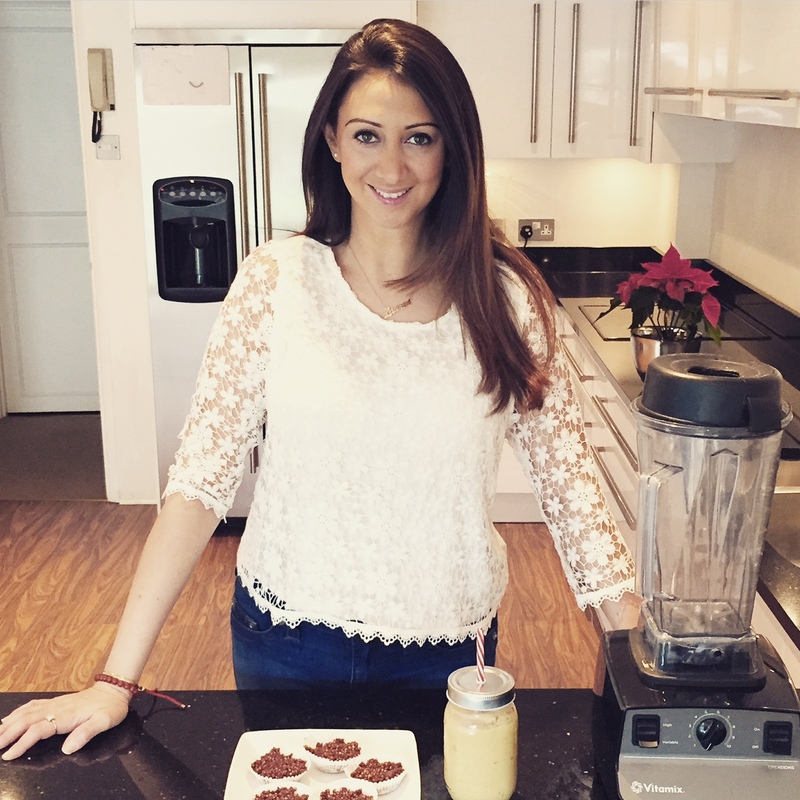 You could play around with flavour by adding cinnamon, or raw cacao powder for chocolate milk! If you don’t have a dehydrator you can spread it out on a baking tray and put it in your oven on a low heat until it dries. Then process it in your blender to a fine flour. Keep in an airtight container. If you live in a very hot or humid place I recommend keeping it in the fridge. You can use this for gluten-free baking, as I do in my Banana Bread.